After so many many years, I am finally in a place where I do feel there are seasons. It is summer and I see berries aplenty, so I am taking advantage of it all. 3 weeks here and we've brought home strawberries 5 times from the markets. Yes.. there are markets here. Nice ones too. So one one of my berry sprees, we got blueberries. It stayed in the fridge for almost a week when I stumbled upon Mark Bittman's How to Cook Everything - the basics. Joy brought it home for herself but I got inspiration as well. This recipe was just shouting out at me. Funnily enough when G found out that blueberries were going into the muffins, and not chocolate chips, he tried to consume the whole box of berries and encouraged all to do the same, so I'd have to use chocolate chips. Nice try! 1. Line muffin pans with paper liners. 2. Whisk and aerate flour, baking powder, baking soda and salt. 3. In a stand mixer, cream butter and sugar until light and fluffy. 4. Add eggs, one at a time, and beat well. 5. Next goes the yogurt and lemon zest. 6. On a low speed, add the combined dry ingredients in two batches, folding just to combine. 7. 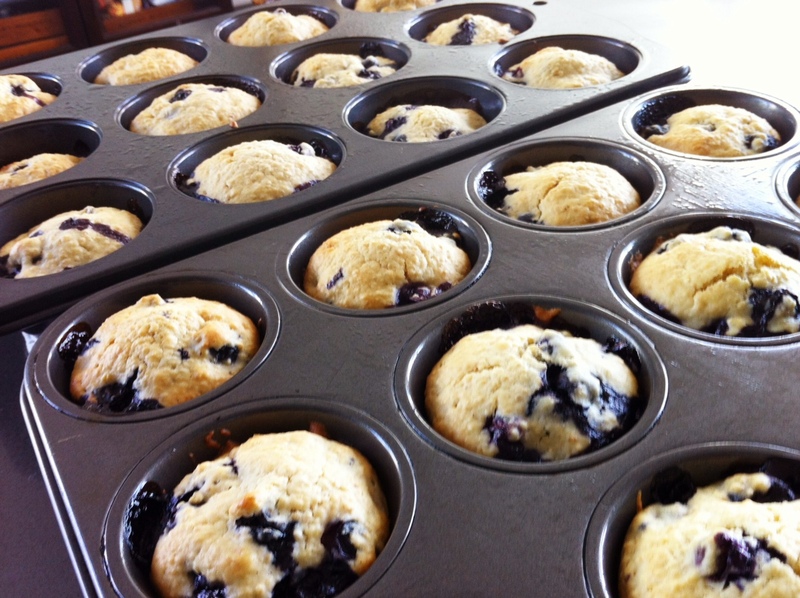 On the lowest possible speed, or with a wooden spoon, fold in the blueberries. Don't worry if your dough looks like cookie batter. 8. Fill muffin liners about 3/4 full. 9. Bake for 30-35 minutes until it passes the skewer test. 10. Let cool a bit before devouring. 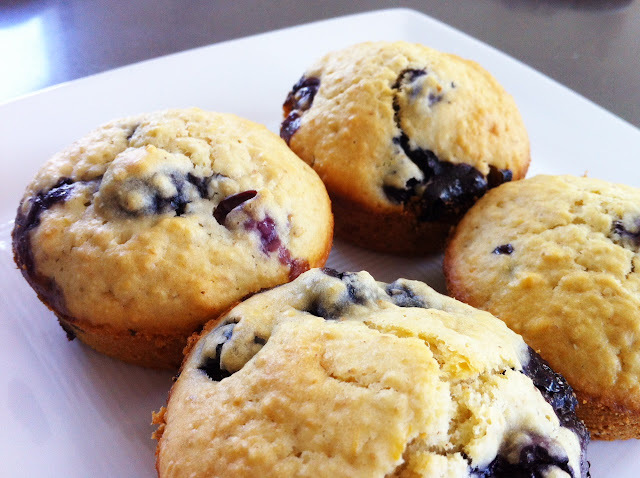 Just because you don't want to burn your tongue with the scorching blueberries.